On Disney Tourist Blog, it’s been an annual tradition at the end of the year for me to look back at my photography and select my top photos. I’ve enjoyed doing that, as it gives me the chance to share some of my favorite shots and also contemplate where I grew and failed to grow as a photographer over the course of the previous year. I thought it would be fun on TravelCaffeine to do the same thing, except with non-Disney photos. Normally, I do that list as a top 10 as opposed to a 10 “favorite”, and I don’t know if the semantics make a big difference, but a few of these I’m picking for how they remind me of a great experience, rather than how objectively “good” they are. I’ve said this before, but that’s the point of photography for me–capturing a moment in time to both remember that moment by, and share it with others. It’s also not an objective 10 best list because I have a huge backlog of photos from the year that I haven’t yet had a chance to edit. A lot of my travel has been condensed at the end of this year, and I’ve been playing catch-up on things from mid-August to late-November over the past few weeks (woe is me, right?). In fact, several of these photos on this list didn’t get edited until this morning, as I tried to recall some shots that were good, found them, and processed them. With that said, in reviewing some of my photos, here’s what I view as the good and the bad in terms of my photography this year. First, the good. I think I developed a better eye for light this year, and the necessary patience to wait to shoot a particular subject in good light, rather than just forcing a shot. I’ve always had the ambition (or craziness, your pick) to be willing to get up early for the sunrise or stay up late as the situation dictated, but this year I feel like I began to really see good light in situations beyond just the obvious. This has been a gradual thing over the last few years, but it really started to click this year. This is a “lesson” that isn’t all that apparent in these photos, but I feel I learned it, nonetheless. I also continued learning the value people can bring to some photos. Early-on, my gimmick was (and to a large degree, still is) empty park photos in the Disney Parks. Architecture (as is the case with my theme park photography) and landscape (National Parks) photography don’t naturally lend themselves to the inclusion of people, but people can enhance both types of photography, something I’m very slowly learning. This year I read The National Parks: Our American Landscape by Ian Shive, and the photos in that book really drilled that point home for me. I still have a long way to go when it comes to this, but I’m working at it. I think this type of “environmental portraiture” is really difficult to do well…and I love a challenge. Now, for the bad. I don’t think I grew enough as a photographer this year. I lament this almost every year, but that doesn’t make it any less true. I am aware that a lot of beginner photographers follow me, so you may view this as a “woe is Tom” thing, but it’s not. I’m not saying my photos are bad by any means, just that I did not improve enough. I still don’t get flash–a goal I’ve made for myself the last few years. I still go for the “easy” punchy landscape rather than trying to find the equally beautiful, but more artistically challenging shot. In many ways, I feel like I’ve rested on my laurels this year, going for the sure thing rather than trying to push the envelope creatively. In my first few years as a photographer, I tried many new techniques and creative concepts, some failures, some successes. I feel like I’m doing this less and less, and that’s not good. I want to be outside the box as much as possible–even if that means failure–rather than doing the tried and true, and being complacent with that. My dad and I traveled to Grand Canyon National Park early in the year, and I was out the door early every morning to shoot the stars and sunrise. 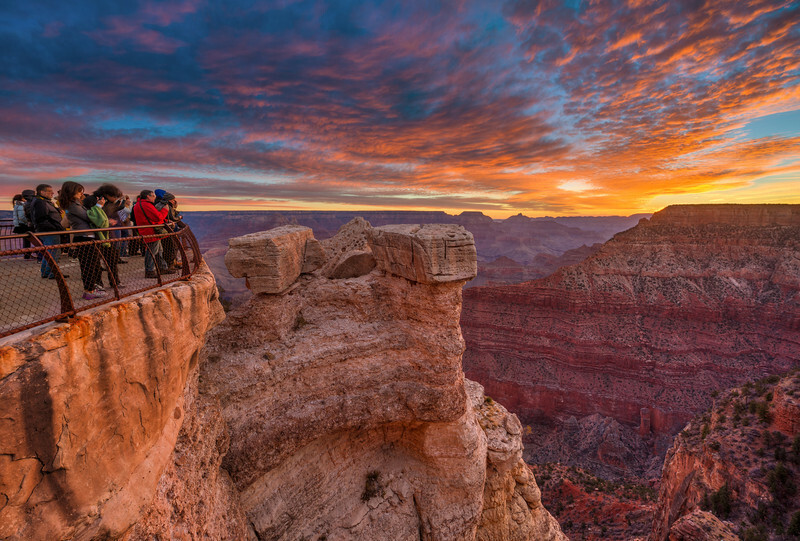 After racing around elsewhere, I decided to double back to Mather Point (the most popular overlook in the park) for the actual sunrise. Instead of going for a prime spot, I decided to challenge myself by showcasing the other early-risers were photographing the sunrise. 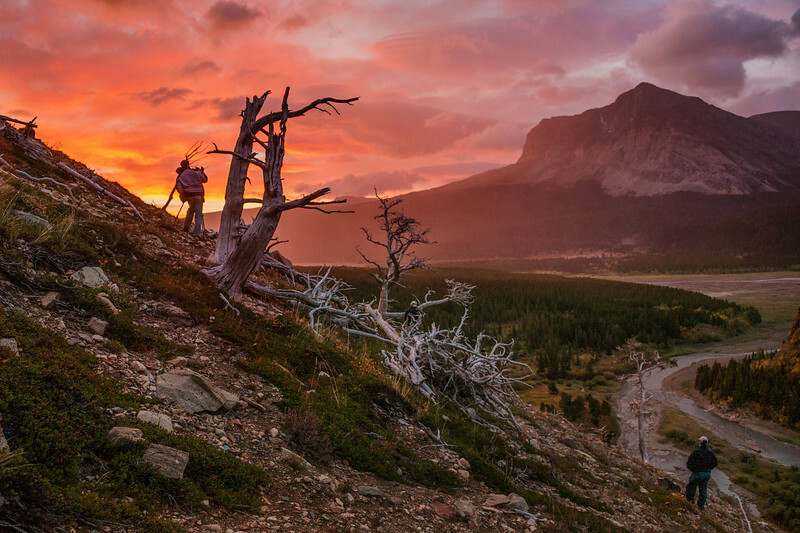 My trip to Glacier National Park with several other photographers was unquestionably the time when I was the most “in the zone” this year. Beautiful shooting conditions didn’t hurt, but I feel like here more than anywhere else, I actually did try thinking outside the box. I think a big part of that was the creative push I felt from the others, and my competitive streak (there was no competition per se, I’m just a competitive person so I didn’t want to come up with lackluster results as compared to the others). In the past, I’ve been somewhat reluctant to shoot around other photographers because I’ve thought it conducive to a “go with the flow” mentality, but after this trip, I’ve definitely rethought that. I could do an entire post of photos from Glacier National Park, as the trip was that much of a “success” but I’ll limit myself to the shot above and the next two. 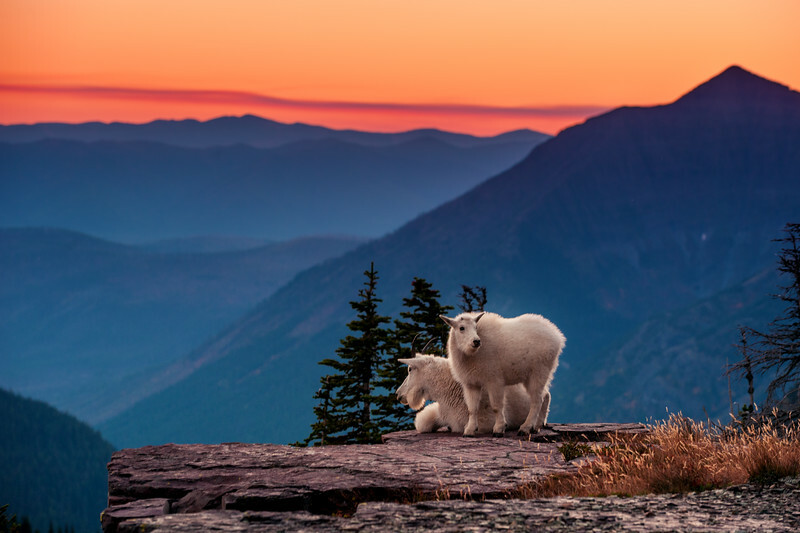 First is a shot of some mountain goats I “befriended” while we were up at Hidden Lake Overlook. We saw them early on the trail, and they had stopped to eat berries, grass, or whatever random junk mountain goats eat. Knowing they were heading for the water, I went out to the edge of the rocks on the overlook, and waited for them to pass. It happened right as the sun set, luck that seemed par for the course on this trip. About 10 minutes after the mountain goats made their way down the mountain, we noticed them sitting on a second overlook directly above Hidden Lake (in the picture above, this spot would be right about where the red dots of flare end). Addicted to mountain goat photos, I raced down with my telephoto lens in one hand and my wide angle in the other. This was the telephoto result, which I think is a good companion to the shot above. There’s something about this photo that I just love–it’s my favorite photo of the year. During my trip to Hawaii Volcanoes National Park, I took a lot of photos of Kīlauea in Halema’uma’u Crater. I think this is the most interesting. It’s a 677 second single exposure, which is about 11 minutes. 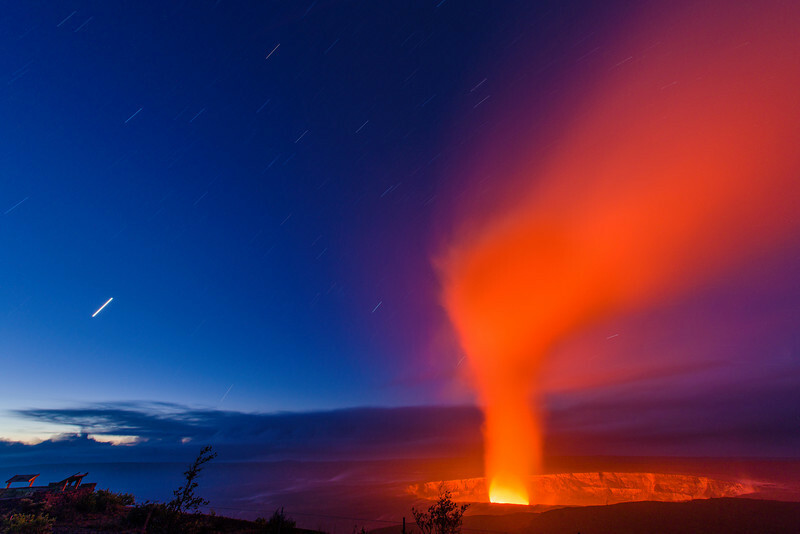 My reason for doing a single, long exposure as opposed to multiple 30 second shots and stacking was so I could capture the transition from dark night sky to dawn, and also have the glow of Kilauea be more pronounced. Since there’s a short window of time during which you can see the stars and the dawn sky, this is a situation where you don’t get a second chance. While I like this shot (some might disagree with the inclusion of the parking lot, but I think it provides scale), it’s a photo that’s here for personal reasons. 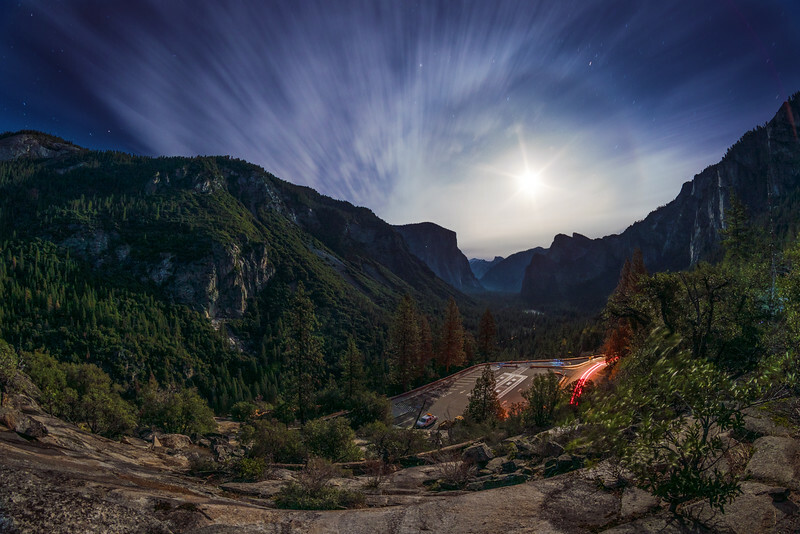 This was my view from a trail above the iconic Tunnel View outlook in Yosemite National Park during the moonrise that I made a one-day trip with William McIntosh and Corey Dorsey to shoot. I took this as “one last shot” while they were heading back to the car, and at that moment, I was incredibly happy and excited about the crazy fun to come. 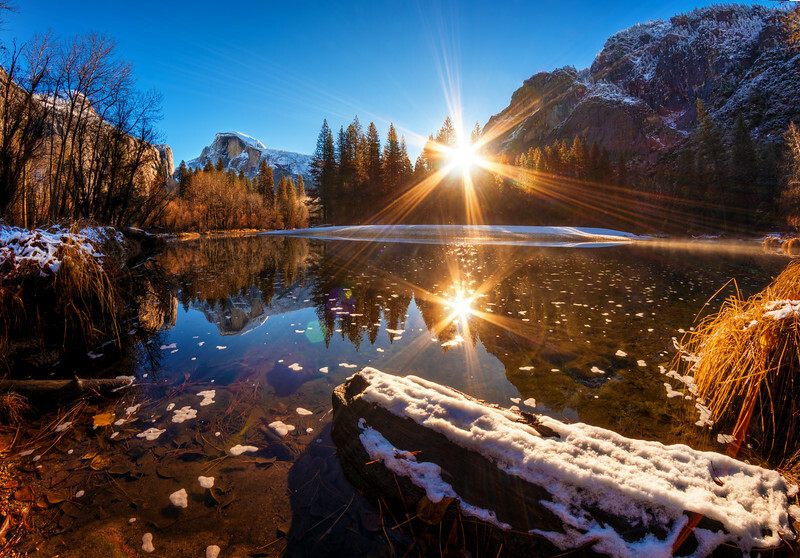 There was something exhilarating about getting up that morning, jumping in a car with two friends, and heading six hours to Northern California to photograph the full moon in Yosemite…only to drive right back home a few hours later. 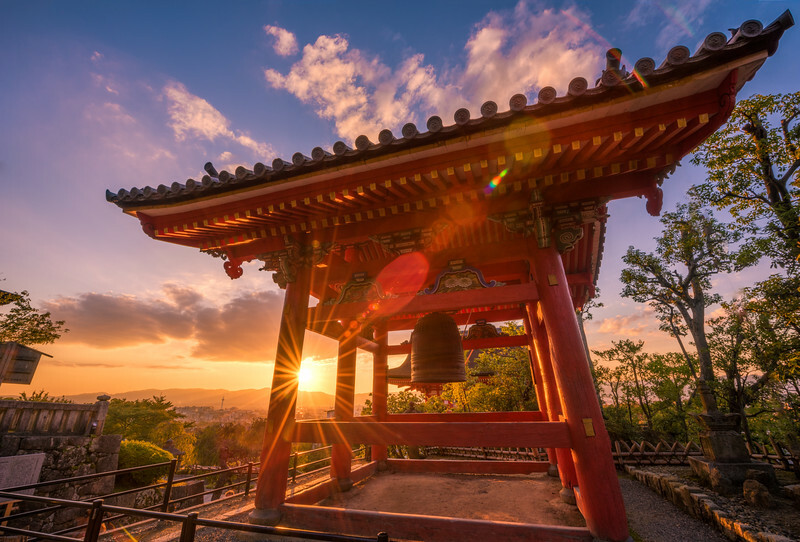 I shared a bunch of photos of Kiyomizudera Temple in Kyoto recently, but I saved my favorite. Getting here in time for sunset involved racing through the mean (not really) streets of Higashiyama, and wiping out as I ran up the stairs to the Temple. I missed some of the good afternoon light, but the instant I snapped this–my first photo at the Temple–it made all that running worthwhile. That made this photo a great memory of the race, shooting around the Temple, and an incredible late night in Kyoto standing in the streets with local shopkeepers as everyone was transfixed on the materializing blood moon (I haven’t had a chance to edit it yet, but my photo of the Blood Moon over Yasaka Pagoda would probably also make this list due to the memory of that experience). On my second “banzai” photo trip with Bill of the year, we had a crazy morning of driving around capturing gorgeous scenes. Of the photos I’ve edited thus far, this is my definite favorite. I have several more variations of this scene that I still need to get to, but my motto seems to be “MOAR SUNBURTZ!” and the reflected, fanned sunburst, plus the little sunburst dots on the water will be tough to top! This photo is included because I think it’s hilarious. 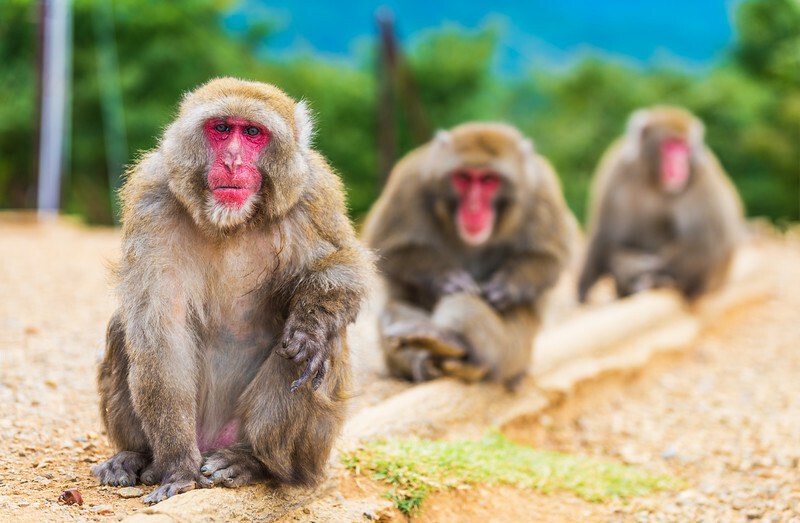 I call it “Three Wise Japanese Monkeys.” Alternatively, it could be the “Macaque Depth of Field Chart.” The possibilities in a ‘Caption This’ game are endless. These Japanese Macaque that live in the mountains of Kyoto are generally jerks, but I was very pleased with the three who decided, for whatever reason, to line up like this. 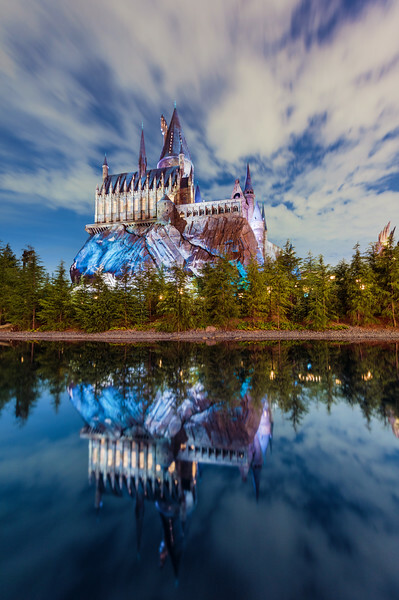 It doesn’t seem right to do a list of my photos without sneaking in one from a theme park, so here’s Hogwarts Castle in the Wizarding World of Harry Potter in Universal Studios Japan. This is another one that makes the list for the moment, rather than the photo. I spent most of the day in Universal Studios Japan by myself, and was alone for this. As I waited for the exposure to finish, a few different Japanese guests asked (partially via pantomime) me to take their photo. For whatever reason, the moment resonated with me, probably in large part because I have found theme parks are a great way for me to bridge cultural gaps and have made me much more comfortable traveling elsewhere. This moment was a prime example. Hopefully you enjoyed this list of my 10 favorite photos of 2014, as well as my “year in review” of sorts with regard to my progress as a photographer. I’m excited about 2015 both in terms of the growth of TravelCaffeine, and my growth as a photographer. I really hope you all enjoy the posts, and come along for the ride! Which of these photos do you like? Which do you not like? Any comments of your own to add about my photos over the course of the last year, your own goals as a photographer, or anything else? Please share in the comments! Love your mountain goat pictures! We planned a vacation around a full moon at Glacier!! Who does that??!! Saw an amazing moon rise at Logan Pass and mountain goats on the hike to Hidden Lake Overlook. Thanks for your beautiful pictures! Thanks for sharing – these are great (both goat pics are my favorites with preference for the 2nd picture as the goat in the 1st picture looks wary of being pushed by the second goat – sorry, I have a vivid imagination)!! You may feel you haven’t grown this year, in terms of your art. But I think you have grown both in your photography, and in your teaching. You’ve never been shy about explaining how you got a shot (and then whether or not you really succeeded at what you were trying for), and I’ve found that this has helped me in my photography. For far too long, I’ve lamented my gear, and how much more I could do with better gear. It was a tough gut-check moment that had me admitting that “better” gear is pointless if I don’t use what I have. You’ve pushed me to make plans to go out and experience more this coming year, to attempt new things, and to push myself creatively – and ultimately, work at mastering the use of the gear that I have (which, in truth, ain’t half bad). Happy New Year Tom!!! 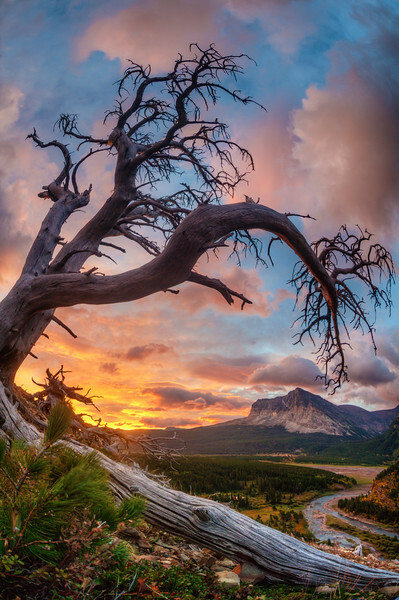 I love your Disney shots but your national park photos are stunning!!! Out of your faves mine would be the mountain goat sunset. Thanks! Those mountain goats were really something else–almost hard to take a bad photo of them. I could put this comment on either of your sites, but since you elaborated on this one I’ll put it here. I’m surprised to see you say you don’t feel you grew much as a photographer this year. As an observer, I think a lot of your photos this year have departed from your usual style in a good, rewarding way. I appreciate the new perspectives. Some of my favorite photos you’ve shared have been from 2014. Since I’ve seen more of your theme park work, this is more noticeable to me with those vs nature shots. I look forward to 2015! Thanks! I think I have grown, but not as much as I’d like, I guess. I’ve definitely taken more risks and tried new things, but not as much as I wanted. Maybe I just want to see tremendous growth over night and am being unreasonable, but I plan on making more of an effort in 2015 to learn and implement new things.